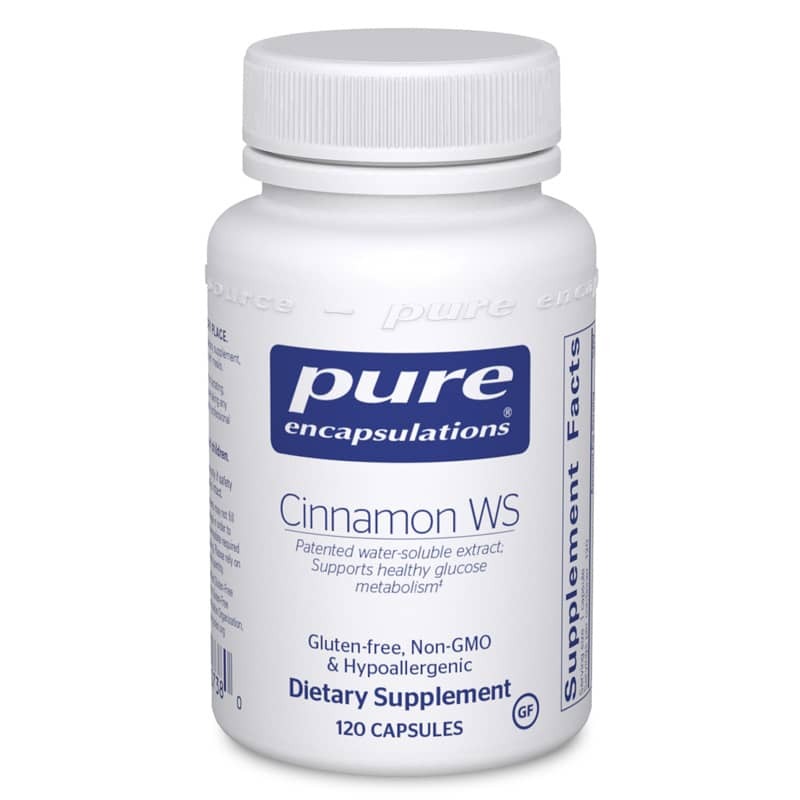 *Cinnamon WS contains a patented, 100% water-soluble cinnamon (Cinnamomi cassia) extract standardized for polyphenol polymers. Studies performed at the Beltsville USDA Human Nutrition Research Center suggest that these polymers are associated with the glucose metabolizing and antioxidant properties of cinnamon. A clinical trial reported that supplementation with cinnamon promoted healthy glucose balance and was well tolerated. The investigators also reported that cinnamon provided statistically significant support for healthy lipid and triglyceride metabolism. Additional studies indicate that cinnamon extract promotes glucose utilization in skeletal muscle cells. Water-soluble polymers may also support healthy blood flow. Contains NO: dairy, wheat, yeast, gluten, corn, sugar, starch, soy, preservatives, hydrogenated oils, hidden coatings, excipients, binders, fillers, shellacs, artificial colors or fragrance. Adults: Take 2 capsules per day, in divided doses, with meals or as recommended by a healthcare professional. Not to be taken by pregnant or lactating women. Individuals with an allergy to cinnamon should avoid this product. Keep out of the reach of children. Cinsulin+é-« is a registered trademark of Tang-An Medical, Ltd. Manufactured under U.S. Patent 6,200,569.